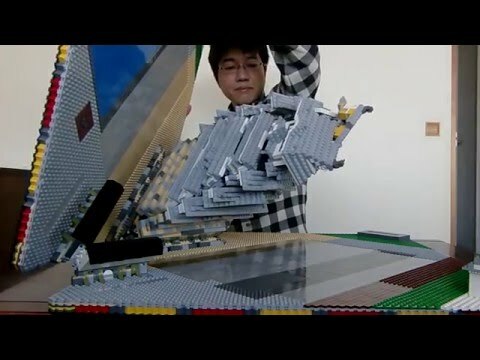 Not mine, would not even have a clue how to begin, but I think this is the most impressive LEGO MOC I have ever seen. I'm impressed without the folding. Am I wrong to assume the Airjitsu Temple doesn't do that? @SumoLego - Try it and see. Make a video, same music as this one. After watching that a second time I could make some references about the way that it...erm....raises itself. The way this thing is presented... I just feel a bit uncomfortable with it. It all looks so technical. I'm missing passion, all I see is obsession. My opinion though. Since the fold-up storybook is being released, any chance we'll get something like this next? ^I heard from Purple Dave that it will be a Black VIP card bonus gift. Not quite Halloween yet so still too early for necromancy. Or are you just practicing?